The European REACH regulation has recently banned the use of hexavalent chromium in the finishing processes of connector housings. However, an authorization for several years has just been granted to a group of European connectives determined to use REACH as a lever for innovation. This is a victory for the French connectivity industry, which combines its efforts with its European partners to develop new alternative technological solutions. The operating conditions in such "harsh environments" dictate to the high-tech and connectors industry complex manufacturing processes, simply because the safety of their users, whether military in action, researchers in Greenland, or civilians on a plane, directly depend upon it. Among these complex processes, the surface coating uses hexavalent chromium, a product now in the firing line of the European Commission, and in particular of its chemical agency, ECHA, watchdog of the enforcement of the regulation. REACH (for "Registration, Evaluation, Authorization and Restriction of Chemicals"), is a European Union regulation that came into effect in 2007. It was introduced to protect human health and the environment from the risks associated with exposure to chemical substances. 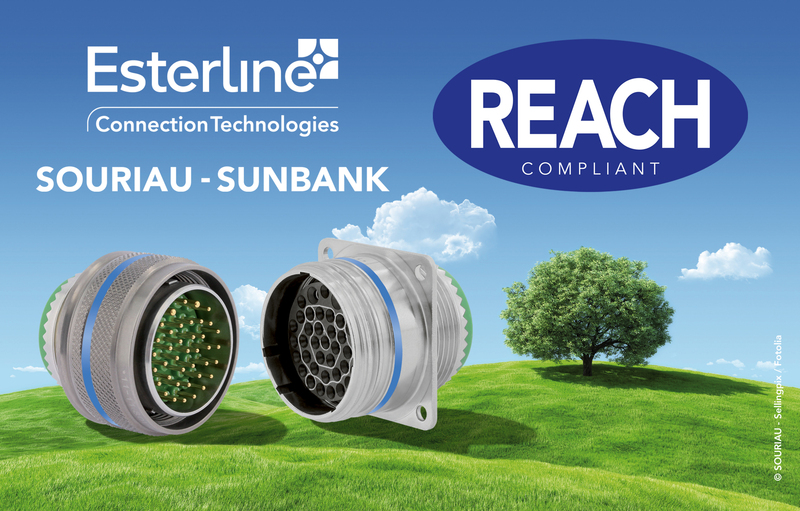 This strong regulatory ban, restricted to the sole manufacturers of the European zone, and that doesn’t concern manufacturers or customers in the US or Asia, could have well encouraged European companies to relocate the manufacturing of their connectors. But instead, the French and European players agreed on a concerted basis, within the CMG* consortium (Connectors Manufacturers Group), to defend the jobs of an industry meeting the needs of a demanding market, while ensuring compliance with international standards. Gathered under the French professional electronic craft union ACSIEL Alliance Electronique **, the CMG managed, after a long administrative process of 4 years, to obtain the authorization to continue using this substance, by demonstrating its socio-economic interest and their control of the environmental risks on the European production sites. CMG manufacturers have also embarked on an innovative cooperation program, to seek alternative solutions answering the needs of the demanding industrial applications of aeronautics, defense, and space ... within a horizon of 4 to 12 years, depending on the use cases. Hence, the European Commission has extended the authorization of the use of hexavalent chromium for 4 to 12 years, limited to CMG members only, according to the qualification and deployment statuses of the alternatives. This is how REACH actively encourages French and European connectivity stakeholders to combine their efforts to take up a complex challenge, and to find innovative alternatives. This tremendous opportunity for research and innovation shows the industry’s willingness to protect employment in our region and contributes to strengthening skills in this line of business in France. In an ever more intelligent and connected world, there is little doubt that the connectivity sector will eventually be able to take up this environmental challenge relying on collaborative, innovative and strategic work for both French and European industry. ** ACSIEL Alliance Electronique, features 150 members for 100,000 direct and induced jobs generating a turnover of more than 6 billion €. The Alliance brings together the players in components, systems, testing and electronic measurement, equipment, consumables supplies and services for the Electronics Industry. ACSIEL Alliance Electronique, a member of the FIEEC, aims to be the professional organization, the dynamiser-gatherer of the actors of the field, from training to the R&D and up to the maintenance of the electronic products throughout their life cycle, involving all types of actors, from SMEs to large groups and laboratories. Our positioning is that of an organization that communicates with customers and institutional investors, who exchanges with all the stakeholders in the ecosystem, which creates and promotes the conditions for the development of the activity, trades and jobs.